Fairly self-explanatory. Put planks on the top place of each half of a block, offset by one. Continue up with the same offset. 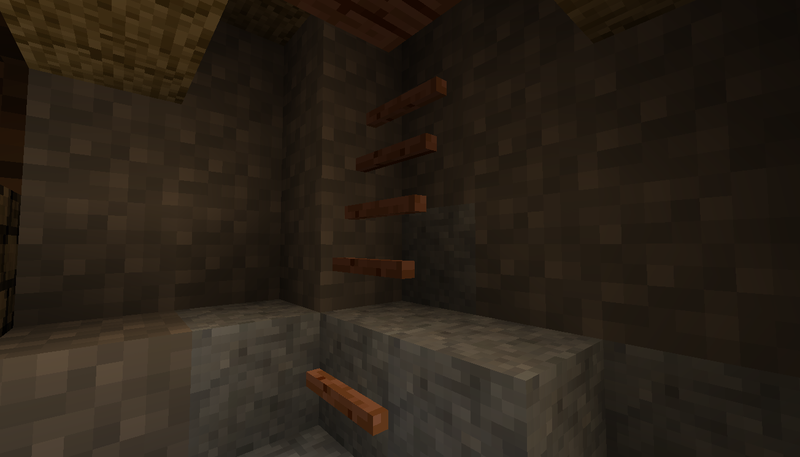 Makes a nice ladder to a loft or such; faster than vanilla ladders since it's technically stairs. also, be careful going down these, you tend to skip steps and take damage. I don't think mobs would recognise it as climbable either. Since they tend to spaz out on those kinds of constructions. So it could be a TFC specific anti-mob "door". Indeed. Also, after further experimentation I would suggest sneaking down these. And also long ones are absurdly fun.